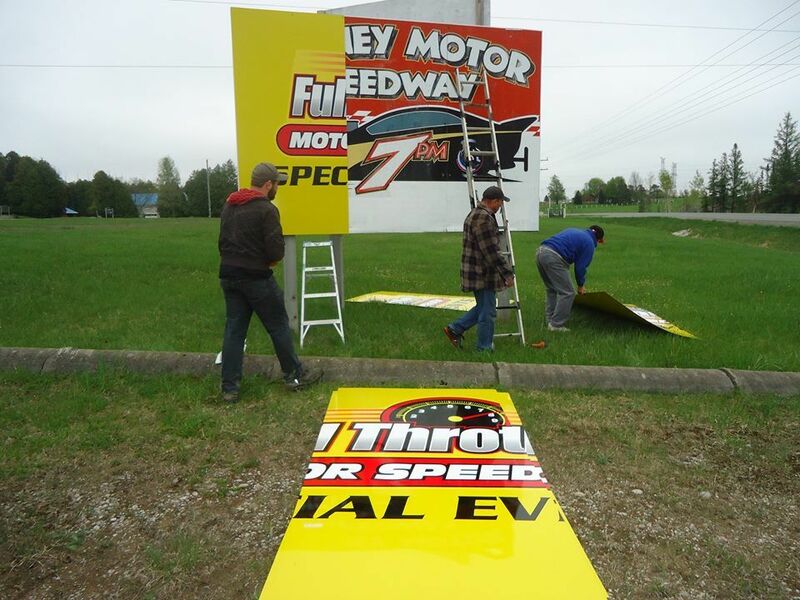 THE VARNEY SPEEDWAY SIGNS ARE GONE.... "FULL THROTTLE" SIGNAGE TAKES THE STAGE, & THE BEGINING OF A NEW ERA. Under grey skies. 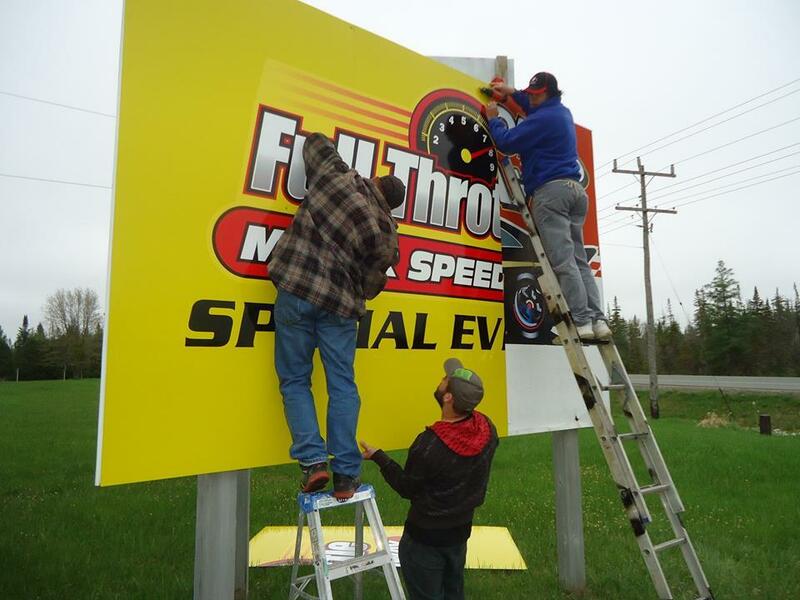 The bright, & new yellow signs of Full Throttle Motor Speedway. Where installed to-day. 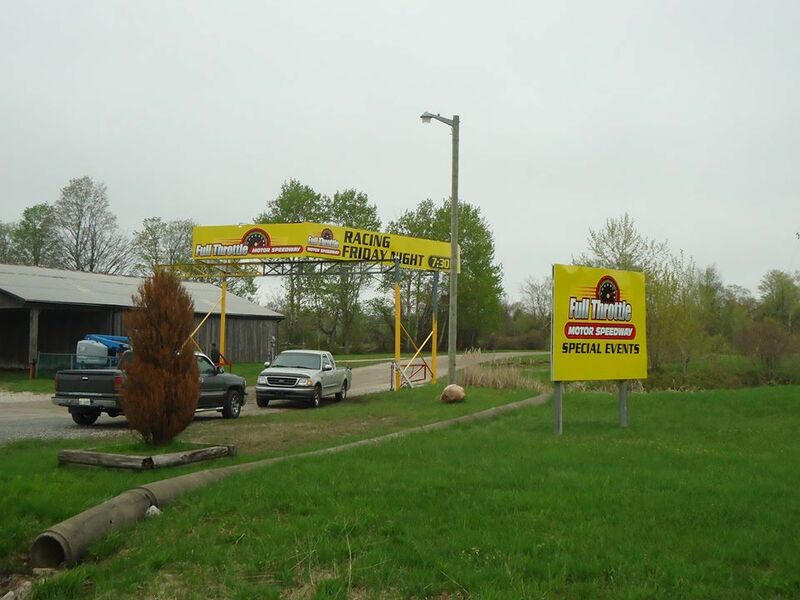 The new signage gave off a sense of excitement, & anticipation of great racing to come. Begining Fri. May 23 / 7:30 p.m. start. Page created in 0.608 seconds with 33 queries.